After a cold or flu, the two main branches of your respiratory tract, your bronchi, often become irritated and inflamed, says Alan Brauer, M.D., director of TotalCare Medical Center in Palo Alto, California, one of the nation’s oldest clinics to combine mainstream and complementary medicine. That, in turn, impairs the ability of the tiny hairs that line the bronchi (cilia) to sweep mucus and other debris out of your respiratory tract. With your bronchi inflamed and your cilia handicapped, the only way your body can keep your bronchi clear is to cough. Hence, bronchitis, which may last a week or two. Sometimes, bronchitis causes a dry, hacking cough, says family practitioner Anne Simons, M.D., an assistant clinical professor of family and community medicine at the University of California’s San Francisco Medical Center. Other times, you might develop a “productive” cough, meaning that you bring up mucus. Smokers often develop chronic bronchitis, with deep almost constant coughs that produce thick mucus. • Fill up on fluids. Drink plenty of fluids—six to eight glasses a day, advises naturopath Joseph Pizzorno, N.D., president of Bastyr University, the naturopathic medical school near Seattle. Fluids help liquify bronchial secretions, making them easier to cough up. Most people find warm fluids more soothing than cold. • Candy is dandy. Hard candies help soothe the throat, which helps relieve bronchial irritation, Dr. Brauer says. • OTC’s. For a dry cough, take one of the many over-the-counter (OTC) cough suppressants that containing dextromethorphan, Dr. Simons suggests. But don’t try to suppress coughs that bring up phlegm. • “C” for sinuses. At a dose of 2,000 mg a day or more, many studies show that vitamin C helps treat the common cold. In addition, an extensive review of research by allergist-immunologist Leonard Bielory, M.D., of the UMD-New Jersey Medical School in Newark, shows that vitamin C also helps treat allergies and asthma. Dr. Pizzorno prescribes it for bronchitis as well—500 mg every two waking hours. • Think zinc. Several studies show that zinc lozenges help treat the common cold. Dr. Pizzorno recommends them for bronchitis as well—one lozenge containing 23 mg of elemental zinc every two waking hours for one week. Don’t use zinc longer, he cautions, because over time, this level of supplementation can suppress the immune system. • “N,” anyone? N-acetylcysteine, that is. “It helps thin mucus, and boost the immune system,” Dr. Brauer explains. N-acetylcysteine is available at most health food and supplement stores. Dr. Brauer suggests 200 to 500 mg three times a day for two to three days, then half that dose until you’re all better. • The dynamic duo. Boost your defenses with immune-enhancing herbs. Dr. Pizzorno recommends echinacea and goldenseal—1 teaspoon of tincture three times a day in juice or tea. These tinctures are available at most health food stores. Shortly after taking echinacea, your tongue may feel numb. This is temporary and harmless. • Cough cutters. If you have a dry, hacking cough, try an herbal cough-supressant. But Varro Tyler, Ph.D., recently retired as the Lily distinguished professor of pharmacognosy (natural pharmacy) at Purdue, warns against using the most venerable cough-suppressing herb, coltsfoot (whose Latin name, Tussilago, means “cough”) because it contains pyrrolizidine alkaloids that may cause liver damage. Instead, he recommends several others: marshmallow root, mullein flowers, and plantain leaves. They’re all endorsed by Commission E, the German review board that judges herbal medicine claims for the German counterpart of the Food and Drug Administation. These herbs suppress coughing because they all contain mucilage, a soluble fiber that, in teas, soothes the respiratory tract. In addition, Dr. Tyler also recommends slippery elm bark, a native American tree high in mucilage. When making teas with these herbs use 1 to 2 teaspoons of marshmallow or 3 to 4 teaspoons of mullein or plaintain per cup of boiling water, steeped for 10 minutes. Drink up to three cups a day. The best way to take slippery elm is in throat lozenges available at many health food stores. • Up and out. If you have a productive cough, you don’t want to suppress it. Instead, you want to loosen your bronchial mucus so that coughing brings it up more easily. Drinking fluids helps. So do the herbal expectorants, licorice, horehound and wild cherry bark. Dr. Pizzorno recommends taking these herbs in teas or tinctures. For tea, use 1 to 2 teaspoons of dried herb per cup of boiling water, steeped for 10 minutes. Drink up to 3 cups a day. For tinctures, mix 1 teaspoon into juice or tea, up to three times a day. • Cough cures. Like colds and flu, Chinese medicine views bronchitis as an invasion of Wind, according to San Francisco Chinese physician Efrem Korngold, L.Ac., O.M.D., co-author (with is wife and practice partner, Harriet Beinfield, L.Ac.) of Between Heaven and Earth: A Guide to Chinese Medicine. Some bronchitis is caused by Wind Heat, some by Wind Cold. The former produces the thick, yellow-green mucus typical of chronic bronchitis, the latter, produces a dry cough or whitish mucus. For Wind Heat bronchitis, Dr. Korngold prescribes formulas containing fritillary bulb and tricosanthis fruit. For Wind Cold bronchitis, useful herbs include ginger and ma huang (Chinese ephedra). Platycodon and apricot pit are two other herbs often used to treat coughs. • Rev up your resistance. Your body’s ability to fight any illness depends on the vitality of your immune system. • Honey of a healer. Here’s an old naturopathic cough syrup recipe: Place 6 chopped white onions in a double boiler. Add 1/2 cup of honey. Simmer this mixture slowly for 2 hours to draw out the onion juice, then strain out the remaining onion material. Dr. Pizzorno recommends taking the honey-onion juice mixture every hour or two, 1 or 2 warm tablespoons at a time. • Cough-blaster plaster. Did your grandmother believe in mustard plasters? Naturopaths still do. Dr. Pizzorno suggests mixing 2 tablespoons of dry mustard with 6 tablespoons of flour, and adding enough water to make a paste. Spread the paste on a cloth, and place it on your chest and inhale the vapors for 20 minutes, but no longer, or you might develop blisters. • Fragrant fixes. Herbalist/aromatherapist Kathy Keville, co-author (with Mindy Green) of Aromatherapy: A Complete Guide to the Healing Art, recommends several essential oils for bronchitis: clove bud, fir (including Canadian balsam and pine), ravensare, and sweet inula. Add 3 to 5 drops of your essential oil to a bowl of hot water, and inhale deeply. Or add 3 to 15 drops to a hot bath. • Close your eyes and focus on your breathing, telling yourself that you can rid yourself of anything that interferes with normal breathing. Then open your eyes. • Close your eyes again and take three breaths. If you cough, just accept it, and keep breathing. Open your eyes. • Close your eyes again and repeat the three breaths. Focus on how your breathing is changing, deepening. Open your eyes. • Repeat the exercise, focusing on breathing from your diaphragm, not your upper chest. • Pick your favorites. “The coughing fits of bronchitis often cause anxiety,” Dr. Brauer explains. “That anxiety can contribute to more and worse coughing, so you wind up with a vicious cycle. Relaxation therapies helps break the cycle.” Dr. Brauer suggests using any or all of the relaxation therapies you enjoy, among them: meditation, massage, biofeedback, tai chi, yoga, visualization, and listening to music. 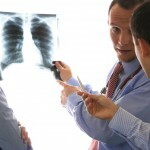 A recent study by Ralph Gonzalez, M.D., of the University of Colorado Health Sciences Center in Denver, shows that doctors prescribe antibiotics for two-thirds of people who see them for bronchitis. But more than 90 percent of bronchitis is caused by the viruses that cause the common cold and flu, not by bacteria. Antibiotics are powerless against viruses. So why are doctors so quick to prescribe them? Because patients demand them, and doctors yield to the pressure. But Dr. Gonzalez and officials at the Centers for Disease Control and Prevention in Atlanta warn that overuse of antibiotics contributes to the emergence of drug-resistant bacteria, a growing problem around the world. Antibiotics help bronchitis only in the small proportion of cases caused by bacteria. “Before prescribing antibiotics, the doctor should take a sputum culture to see if there really is a bacterial infection,” Dr. Brauer says. “If you really need antibiotics,” says Alan Gaby, M.D., past president of the American Holistic Health Association and a professor of nutrition at Bastyr University, the naturopathic medical school near Seattle, “bromelain helps them get into your cells.” Bromelain is the protein-digessting enzume found in pinapple. It is als available as a supplement. Dr. Gaby suggests either eating more pineapple, or taking 250 mg with your antibiotic. Consult a physician immediately if fever develops during bronchitis, or if coughing brings up bloody, brown, or greenish-yellow phlegm. These symptoms suggest pneumonia, which may be serious.